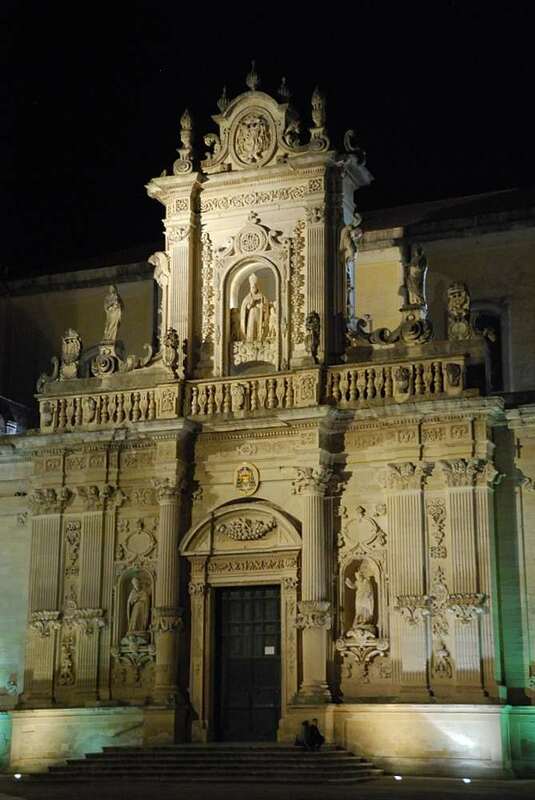 A walking tour to enjoy a magical summer night in Lecce, the Florence of the South. What to see, where to eat and where to stay. 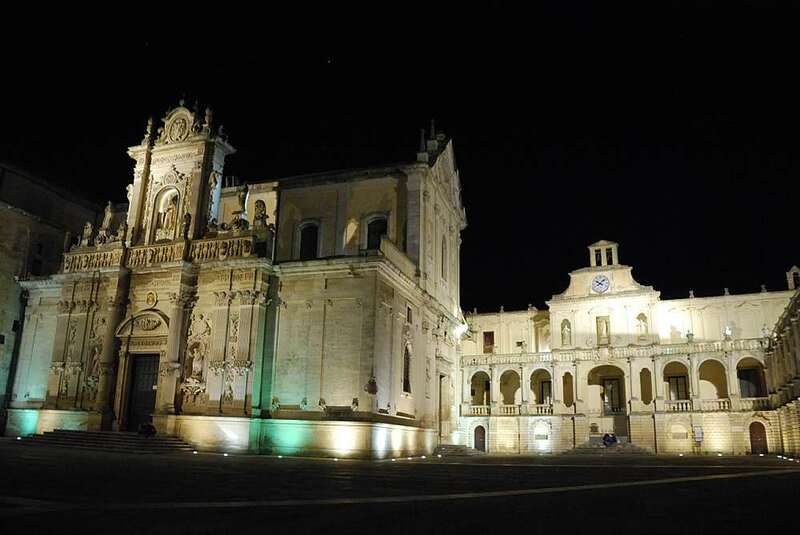 Lecce is the Apulia region jewel, and one of the most fascinating southern Italian town. 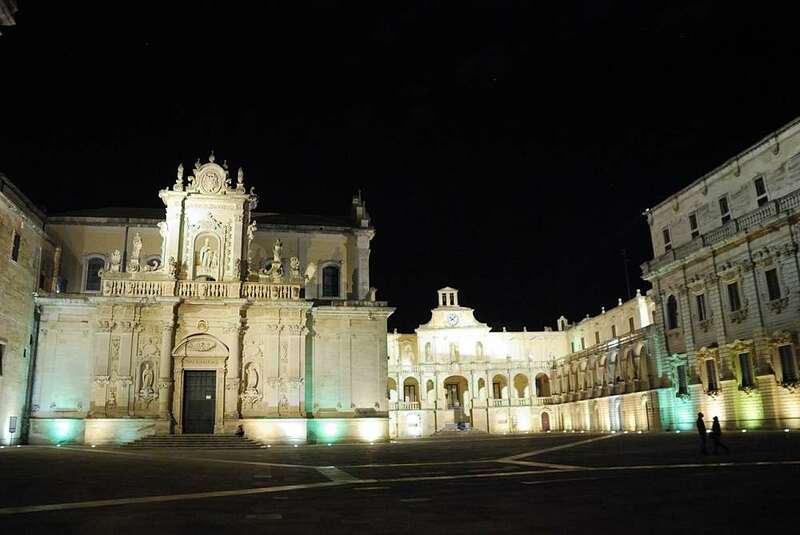 Capital of the Salento (the southernmost part of the Italian heel), Lecce is nicknamed “The Florence of the South” because of its awesome Baroque monuments. Wandering in a summer night in its century old, stone paved streets is simply magic. Discover with me its main square, piazza del Duomo, after the crowds are gone and the full moon lights up its golden limestone monuments. 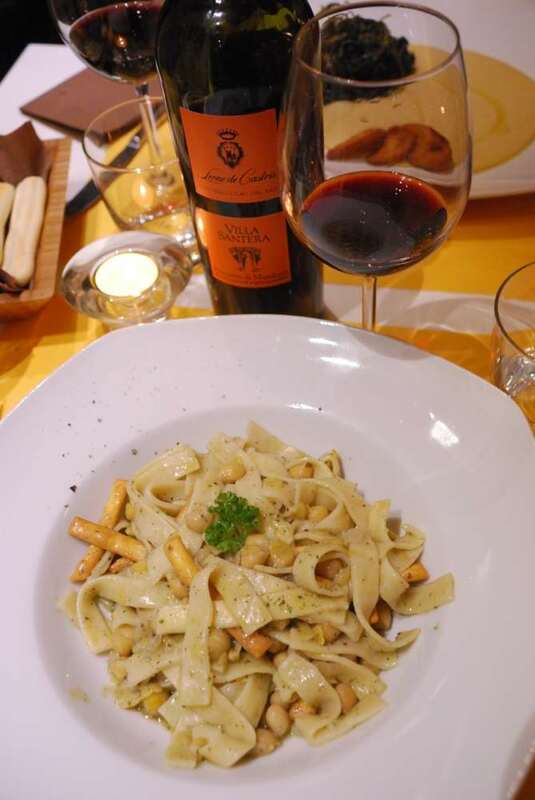 But Lecce is not only art: Salento offers some of the best Mediterranean dishes you could find in Southern Italy, often inspired by the “poor” traditional cooking, based on vegetables and fresh pasta. 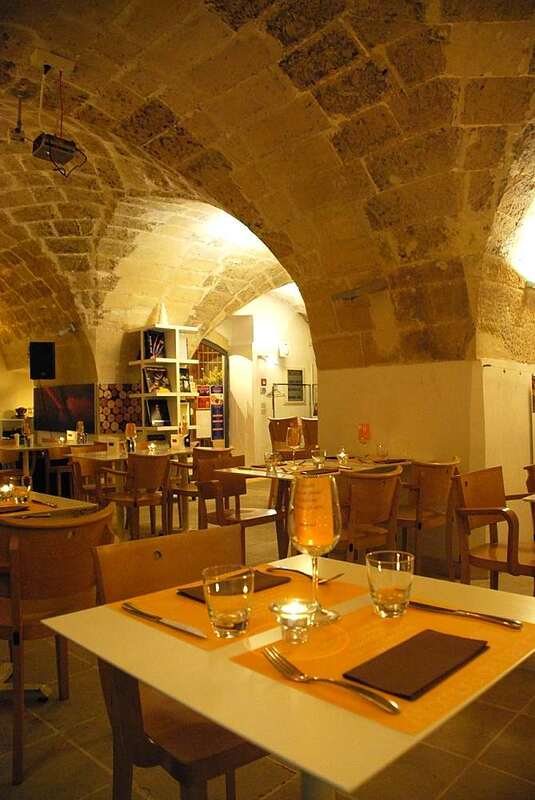 An excellent place to taste it, a few steps away from Piazza del Duomo is the lovely restaurant all’ombra del Barocco. We tasted a tasteful dish of Ciceri and Tria (fresh home made pasta with a cheakpeas) and a great Primitivo di Manduria wine, in a vaulted ceiling century old dining room. 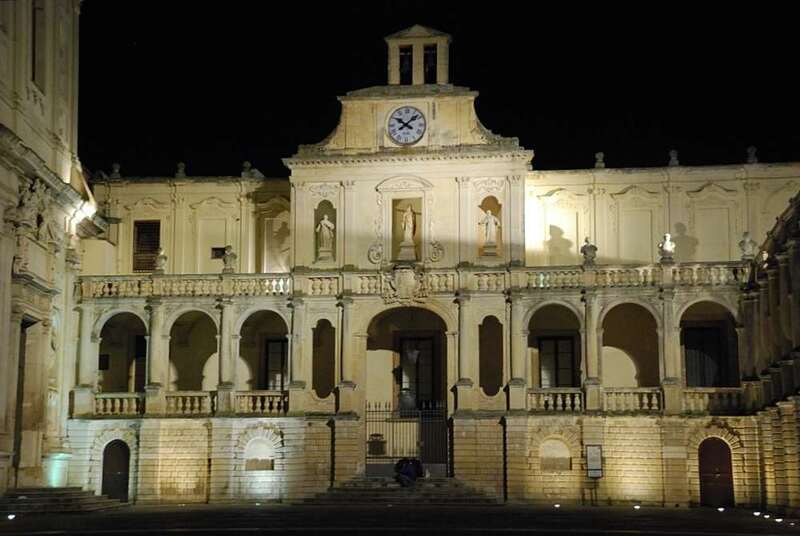 If you plan to visit Lecce and have your own car, you should experience sleeping in an old Masseria (typical old manor farm, converted in country house hotels). We stayed in Masseria Vittoria, a charming four rooms “boutique masseria”, only 15 minutes away from Lecce city center. 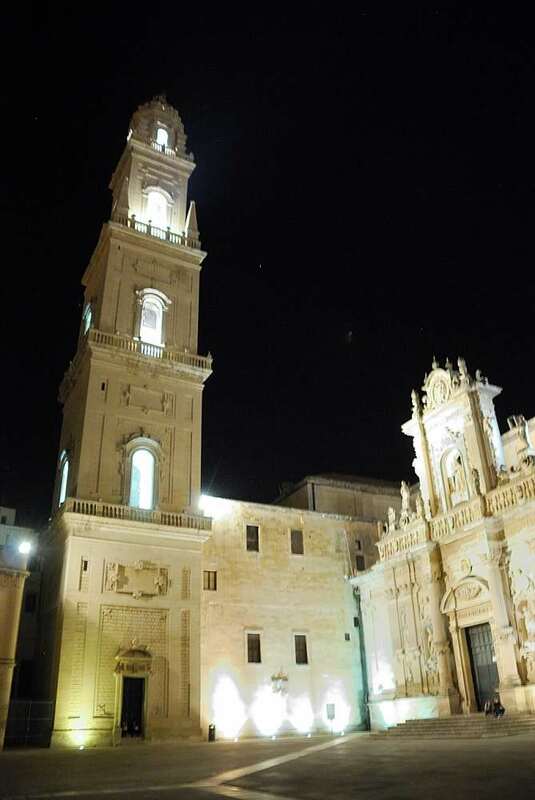 Lecce is one of the highlights of a one week itinerary in Puglia, click on the link to discover the other highlights of this fascinating region. The Salento area of Puglia is one of the most beautiful parts of Italy – we’ve been going there for the last five years on our summer holiday. The beaches are incredible. Really worth a visit. Great pictures of wonderful Lecce JP. A wonderful entourage to enjoy a delicious pasta specialty.